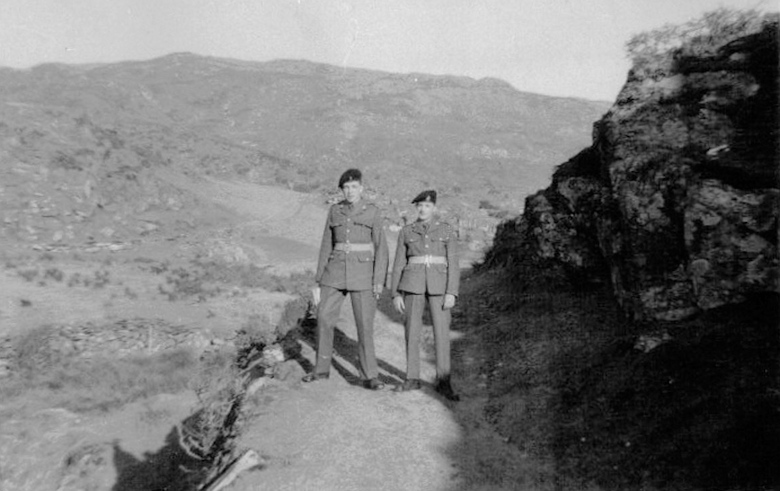 J/Sig Edwards and J/Pte Burrows. Taken on the hills behind Barmouth on one of our Sundays off. We had the SD and not the BD uniforms.